FAQs / Goalposts has information for users of goal posts. Q. What are the current prices of the goal posts on your site? Q. How long have you been a Goalpost Manufacturer? We are in the third decade of goalpost manufacture and we are the second oldest goal post manufacturer in the U.K and the oldest uPVC goalpost manufacturer. Many of our early uPVC goals are still in use even though the original children have now grown up. Other suppliers on the internet buy containers of uPVC goal posts from the Far East to make a quick buck and with no backup service their products more often than not end up in landfill sites. We, on the other hand, are a dedicated family business whose ethos is football based and most of our staff are involved in football and are lovers of the game. (See our accountant Ian Smith scoring at Wembley in the Football Association Vase Trophy final) . Q. We have seen other uPVC goal posts crossbars dip considerably in the middle, does yours? All uPVC crossbars above twelve foot do have a dip depending on the length of the crossbar due to the weight of the material, however our uPVC 9v9 goals, due to the design, dip far less than any other products currently available such as Samba Goals. We are the only goalposts manufacturer that offers a special aluminum crossbar to take all the dip out of the larger sixteen-foot crossbars. These are usually when goals are in use at clubs in league matches. Crossbars should not dip more than 8mm on full-size adult goals to conform to EN 748. Q. How long does it take to deliver goalposts? Stock items like uPVC goals are delivered with an overnight carrier excluding week ends. Saturday delivery can be arranged however there is an additional charge. Most orders take a few days to be processed however if you mention that it is a birthday present then it will be prioritized to make sure it arrives in time. It is advisable to order in plenty of time to ensure delivery. In all the time we have been supplying football goals we have never let any one down at Christmas or on a Birthday. Q. What football goal would you recommend for a nine-year-old? What I have for my own grandson at home is I feel the best size of football goalposts. A Mini soccer freestanding aluminum or uPVC goal post ideally with a one section crossbar. These are sturdier than the three section crossbars offered by other plastic goalposts such as Samba Goals. Both are easy to move around to maintain your lawn. 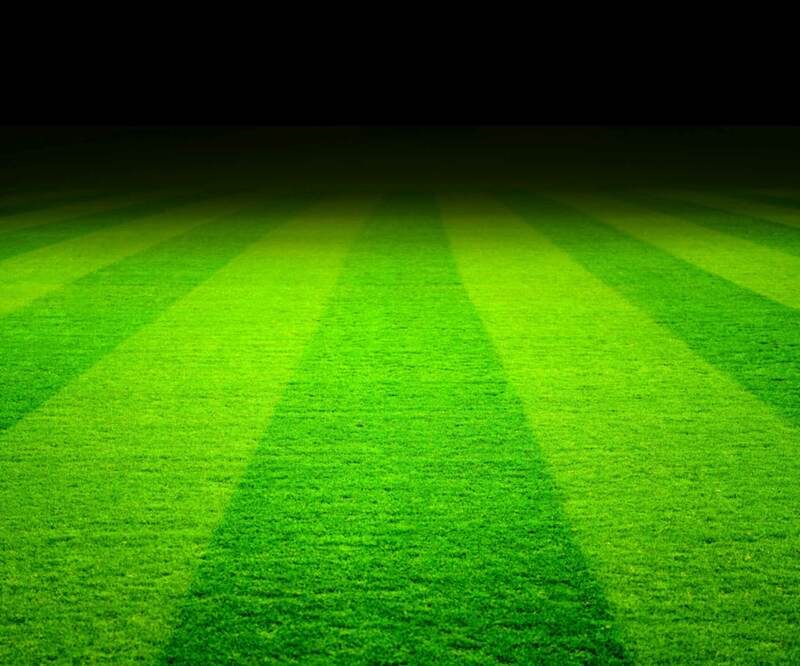 If you could see my lawn at home (my pride & joy) it is like a premier league ground and t is cut in stripes every weekend and played on every night. If you leave the goals too long in one place they leave marks on the grass where the ground frame touches the grass so it is better to move them every day in a different position on the grass to keep the lawn perfect for the evening game (which my grandson nearly always wins). My grandson is seven and is already a budding soccer star in the Local Academy, but he has been kicking a ball into smaller 8’x4’goal posts in the garden since he was two. These goals can also be extended to 16’x7’ goalposts at a later time as children become older and grow bigger. The nets are top quality and outlast others especially the cheap Far East products and the net stanchions and posts on ITSA GOAL and FOOTIE GOALS lock in place, unlike all other uPVC goals which just push into a hole and come out every time they are moved or a ball hits them. We were the first to make uPVC goals and they are still the best by far as all copies of our concept have been made with price as a priority over quality. Unlike Far East products from large shed operations we offer after sales, spare parts and nets and some of our goals like my own are on the second and third generations so they not only outperform others they outlast them. You rarely find any of our customers selling their ITSA GOAL posts on E bay, unlike Samba Goals! You will not be disappointed I personally guarantee it….if you need to discuss your requirements in more detail you can contact my mobile at any time 07974745768 but meanwhile why not look at the genuine customer comments gathered over the last twenty-five years. I hope this is of help. The nets are top quality and outlast others especially the cheap Far East products and the net stanchions and posts on ITSA GOAL and FOOTIE GOALS lock in place, unlike all other uPVC goals which just push into a hole and come out every time they are moved or a ball hits them. We were the first to make uPVC goals and they are still the best by far as all copies of our concept have been made with price as a priority over quality. Unlike Far East products from large shed operations we offer after sales, spare parts and nets and some of our goals like my own are on the second and third generations so they not only outperform others they outlast them. You rarely find any of our customers selling their ITSA GOAL posts on E-bay, unlike Samba Goals! You will not be disappointed I personally guarantee it….if you need to discuss your requirements in more detail you can contact my mobile at any time 07974745768 but meanwhile why not look at the genuine customer comments gathered over the last twenty-eight years. I hope this is of help. Q. What can be done if goal nets are damaged by wildlife? Q. Are replacement goal carry bags and goal nets available? Goalpost bags and goal nets like all components on the goal posts we supply are available as spare parts. Copies of all fitting instructions and spare parts showing prices and carriage will shortly be added to the site to enable you to purchase directly.You can order meanwhile from www.soccertackle.com or alternatively you can contact our sales office by telephone on 0114 24424244 and we can email our spare parts order form to you or take an order over the phone. Unlike other plastic goals, we offer longer warranty and spare parts are rarely needed on our products. Q. What will happen if my older teenage children play with the uPVC goals? The ITSA Goal posts unlike other goalposts like Samba Goals are very robust and take the hardest of shots.The goals were originally designed for young children so if teenagers or adults use the goals they may wear the net out quicker but the frame will stand up to adult use.We also have a large range of moveable, portable and permanent aluminum goals for adults use. Q The arrowhead net fixing rods have been thrown away by mistake. What can I do we have a game arranged tonight? For a short-term, emergency a couple of matches can be pushed down the center of the net hook, or any rod that is 4mm in diameter, such as a small piece of wooden dowel. You can buy replacement hooks which are normally sent out on the same day. These net fixings are one of our patented products and can only be found on our goalposts or from licensed suppliers. Q. The goalposts have arrived but the packaging is damaged and a component is missing? All products leave our warehouse intact however from time to time damage can occur in transit. Any damage should be noted and signed on carrier’s delivery note. This should be reported within seven days to our Despatch Department and a replacement part can be sent out and a claim made to the carrier. Q. The Cord on the bottom of the goal net is beginning to fray? This problem is occasionally found on portable goals used on grass when the cord is used to pull the net pegs out instead of using another peg to hook the underside of the peg to pull it out. We have also had one or two customers reporting nets have been gnawed by rabbits and squirrels, so if you think this may be a problem raise from the ground or remove the nets after play. Fraying is a normal problem on most other uPVC goals such as Samba goals that have ground frames as the nets are wrapped around the posts and clipped and when the frame is dragged about the nets fray and wear out very quickly. (see photos on uPVC goal information). In contrast our multi surface football goals have unique net ties that help protect the goal net from being dragged along the floor and fraying and that is why they last ten times longer than uPVC goal nets. Q. When the ground is hard we find it difficult to insert the front ground anchors. The grass surface FOOTIEGOAL was designed with the softer European grass fields in mind however if the ground is hard, you can soften with water and make a pilot hole with a steel rod before inserting the front ground spikes and pegs. Q. We place the ground anchors on our portable goalposts in the same place each week. In this instance it is a good idea to insert a support tube below the ground to a minimum depth of 40mm below the surface and fill with sand and soil. The ground anchors can slide into the tube and the soil can grow over the top. This is recommended especially for the full size regulation goal when used for matches on the same pitch each week.You can alternatively fit one of our permanent steel sockets as the ground spikes will slot inside them. Q. Why is our arrowhead goal net fixing not staying in place? This is usually because the user has not read and followed the fitting instructions. The pin protruding from the end of the hook needs breaking off and sliding down the center of the hook to secure. Once this pin is in place the net hook cannot come away from the post. The hook can be easily removed by pushing the pin completely through the center of the hook, with a nail or rod 4mm or less in diameter until it drops inside the post. Collect and save the pin, you can reuse the hook by reinserting the pin. Q. Why do we need to return goal components when claiming under guarantee? Replacements requested under guarantee need inspecting to check for any misuse prior to a replacement being sent out. This enables us to resolve genuine problems and look to see if any improvements can be made. Breakage’s are normally from incorrect installation or misuse – Always replace individual damaged components. We have very few breakages and we can count on one hand replacement parts for our football goals supplied under guarantee in the last twenty three years. We can boast that we have not had one dissatisfied customer since we started manufacturing goalposts way back in 1989. Q. why when I fit the goal net it does not reach the ground? This is usually due to the goalpost net being fitted upside down. The longest section of net cord is the goalpost crossbar, the next longest is the goalpost upright and the shortest is along the ground at the side. For quick installation it is a good idea to mark the two top corners of the goal net with a small band of coloured tape, this will enable you to immediately find the net corners each time you lift the net into place.Don’t worry you are not the first to try and put nets on upside down. Q. Are your products environmentally friendly? We have detailed information on our web site about the company and the environment. Q Some goalpost manufacturers tell us that some goal posts are illegal? This is due to certain manufacturers of goalposts not being football people and not understanding the laws of the game. Any goal that conforms to F.I.F.A. law one can be used irrespective of any manufacturing or safety standard. The only relevant items in law one is the size of the goal, the material used and the shape of the actual posts When a net is attached it must be supported away horizontal from the crossbar at the top.. The goal posts should not carry any advertising on the front of the posts or on the net. Match officials can only cancel games if goals do not meet law one of the game.Inflatable goals are not included in law one of the game as they do not conform to the goal post materials specified by F.I.F.A. Q. I like the look of the FOOTIE GOAL what is the difference to ITSA Goal posts ? The Footie Goal is a budget version of an ITSA Goal and the net helps hold the posts together as is the case on all other uPVC versions such Forza Goals and Samba Goals. ITSA Goal posts are the only ones that have net fixings to the rear of the posts, goal net support stanchions and posts connected with locking buttons. The Footie Goals have all the same strong ITSA Goal mouldings but only the rear net support is locked in place to upright and crossbar with push button fixings. (all other uPVC goals just push net supports into a hole unattached). The posts slot together and the goal net like other uPVC goals holds the frame together with unique net ties. When anchored the goal is sturdy and does not move. This is ideal for garden football goals that are put up and left up. If you want to take nets on and off all the time then the more expensive ITSA Goal post is recommended. Q. How does the goal net attach as it doesn’t appear to be one of those ugly wrap around ones.? The net is attached to the rear of the uprights and crossbar by patented arrowhead net fixings and is pegged to the ground at the base with safe net ground pegs. The football goal is easy to install and take down and is comparable in price to a Far East toy but performs much better and is classed as sports equipment. We would recommend the multi-surface goal if the goal is to be moved around a lot however the grass goal is a much better buy than any other uPVC goal post with a ground frame and it can be extended to a larger goal and ground frames can be added at a later stage if required. Q.We have a set of your 16 x 7 folding lockable aluminum goals. On Sunday one of the parents, assisting in taking them down, broke a key off in one of the locks. Do you have any advice/method for retrieval of the system please? Q.Can you explain the difference of the patented goalposts you supply. BRITISH PATENT GB 2423260 – JOHN ROBERT WILSON :- This patent covers safer locking secure socketed and freestanding football goal posts and has been offered to other goalpost manufacturers. ITSA Goal Post Limited and Goal posts for Sport limited have been given licensees to make and sell these products but other goalpost makers if they wish are welcome to seek a license. The main difference between these and ordinary nut & bolt goal posts is that they offer additional safety and accountability. The main safety feature of the socketed posts is that due to the unique design they can never be taken down in one piece with uprights & posts still connected together. This, when it happens, is one of the dangers of other basic nut & bolt designs.When bolts rust in place the posts are often taken out complete and leaned against fences, walls or changing room buildings which can have disastrous consequences . This uncontrolled practice of goal post storage in the close season has caused numerous deaths of children and is why fixed position goal posts must always be fully dismantled and stored in a safe location at a low level. The second reason these anti vandal fixed position goals are safer is that as the uprights are laser engineered which enables them to fit in any post socket anywhere at any pitch at any end of the pitch and at any side of the goal. Fixed position nut & bolt goal posts need to ensure the same upright goes in the same socket on every pitch which is extremely difficult when multiple sets of goal posts are taken up and down each year. If one post is mixed up it can send the rest of the sets out and bolt holes will be misaligned. You will see may goalposts of exposed pitches with nuts & bolts missing and holes not aligned up and in some cases no nuts and bolts at all which is very dangerous. Anti-vandal goals have locks which can only be locked or removed by a key holder which gives complete accountability. These are the choice of councils that need more security as anyone with a mind to damage or remove heavy steel goalposts can undo the more common goalposts with a simple spanner as they offer no security from vandals or thief’s. Locking stadium goalpost are also covered in the patent and this enables elliptical aluminum stadium goalposts to have uprights and crossbars locked in place . Crossbars on these lockable goal posts alleviate the need for internal steel brackets that need regular re-tightening of bolts and alignment due to continuous expansion of the crossbar and uprights pushing the corners apart. The patented lockable football stadium goalposts have, due to the unique design, have no expansion and contraction problems whatsoever and need no re-alignment or maintenance.Once fitted they can just be left and only the key holder can remove them. The locking goal patent also covers folding goalposts as the same locking system secures the freestanding goal frames. Unlike other freestanding goalpost with sides that swing about when in use and when not is use these particular folding goals are locked during play and also locked securely when being stored. The goals offer accountability as the key holder is responsible for the safe storage and use of the goals. Once stored in the locked position no one, particularly children, can use them unsupervised. These goals also store flat with the fully welded side frames neatly fitting under the crossbar and not outside the frame like all other designs which means double the amount of goals can be stored in the same storage space. ITSA Goal Lockable folding goals also do not have heavy steel side frames that freely swing about like other makes. All patented folding goals have strong lightweight fully welded rust proof aluminum sides that are secure at all times. One steel side frame broke a young lads arm in two so the dangers are clear to see and that is why we do not supply such goalposts. Q. Slight movement in steel upright posts is this okay.? We did not install the goal posts at your location and it may be that whoever did install them has not followed the guidelines for the ground socket installation shown on EN 748 which is strong enough for full size posts so will be more than enough for these smaller posts. It does sound from your description that it may be the concrete base you have installed that may be the problem. If the ground was very soft then you may be experiencing some settlement and this would have happened which ever type of fixed goalposts you had installed. The ground sockets should be secured in concrete and these can never prevent ingress of water and that is why a drain hole needs to be formed into the bottom of the concrete foundation. The posts twist and lock and around 50mm protrudes lower than the securing bar in the base of the ground socket and this lifts the base of the post out of any standing water in the bottom of the socket. All other similar goalposts have 400mm sockets that uprights just drop into the bottom so the distance our posts drop is still more than others. With regard to rusting this will happen on every steel goalpost and when evidenced the posts need taking back to bare metal before adding a primer and then a top coat. This should be done at least once a year and that should help prevent early rust from developing. The fact we have net fixings should also help as the biggest problem that takes of paint is tape and nets pulled around the front of the posts.The laser cut posts with slots are to enable any upright to be fitted in any hole at any side of the goal, at any end of any pitch and on pitches anywhere provided they are installed correctly. The movement you talk about should not cause posts to tilt over as if the ground socket foundation is correct it would not allow the posts to tilt only move slightly within the socket. This can be minimalized by the unique post screw if required or a simple wooden cheese shaped wedge to the rear of the upright post. It sounds as if children have been pulling your posts over ….and if they have moved as you state that brings me back to the concrete foundations. These goal posts offer much more than any other basic nut & bolt fixed position socket-ed goals. The design requires two slots to create the unique anti vandal locking system as when the crossbar is locked in place it cannot be removed or the posts lifted out. It also ensures the goal must be dismantled and not lifted out intact as with other designs that have rusty nuts and bolts preventing the posts from being taken apart. This is the key design element as they can never be taken out and lent against a wall or shed and this has over the year led to numerous deaths of children. The posts are normally drilled and then powder coat painted so not sure if the coating has not penetrated fully inside. Breaks in the steel such as holes are prone to be the first place rust might start however the net fixings are easy to take out …just push the pin through into post (keep it) pull out, make repaint repair and then pop back in and re insert the pin. Underground any posts will deteriorate quicker than above ground and ideally a rub down and treatment with a protective grease type material or wrap in duck-tape below ground and replace as and when necessary. This takes all the rubbing when posts are inserted in and out. The other problem is with children kicking boots to clear mud at the foot of the posts and this is normally where rust will start if the damaged paintwork is not treated. Again we supply a 50mm white post tape that can be applied at the start of the season and removed after matches have finished for maintenance and to re-apply another band of tape for the next season. Also lock housings we suggest spraying with furniture polish to make locks easier to remove.Your goal posts may have been installed when the ground was may be too wet and the foundations may also not be right. It does look as if the posts have not been sited vertical.If you have children pulling the posts forwards and backwards then the shape of the foundations could also be improved if the front and back were a little longer to give a larger foot base to the front and rear of the upright. Installers of goal post ground sockets should ensure no concrete enters the posts otherwise that could lock them in place and not allow them to rotate and be released. Finally if posts are removed if plastic caps are inserted we suggest a wooden block be secured under the cap and if funds permit then the optional locking plug is the better option as this is a secure way in the close season of ensuring no rubble is dropped inside the sockets.